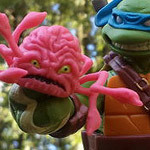 TMNT "Capture the Kraang" Game! | Dinosaur Dracula! 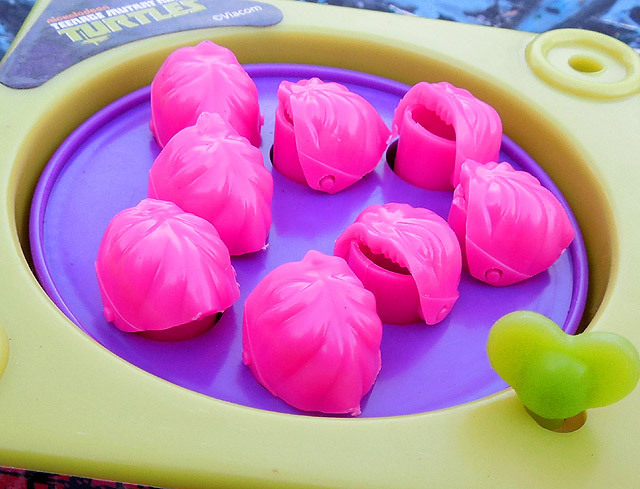 TMNT “Capture the Kraang” Game! Right, like I was going to pass this up. 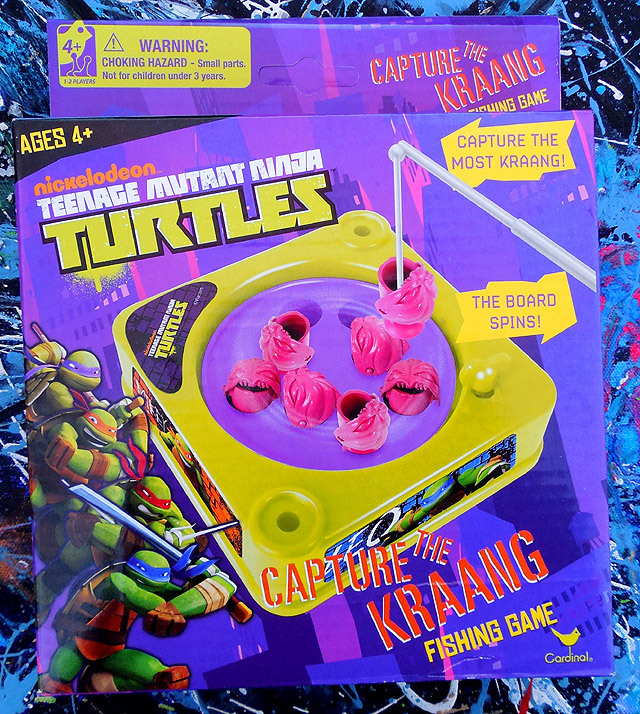 “Capture the Kraang” is a clever spin on the old game where you use a little rod to yank fake fish out of a plastic pool. As the title suggests, they’ve replaced the fish with eight goddamned snapping Kraang. It’s a miniature version of a much larger set. (Thanks for the tip, Dan!) This version was being sold in Target’s stocking stuffer section, and since I’m weirdly obsessed with that “genre,” I prefer it to the bigger one. I could easily see it enveloped in red plush, neighboring with candy bars and Crayola crayons. You get everything you see here, plus two plastic fishing rods. 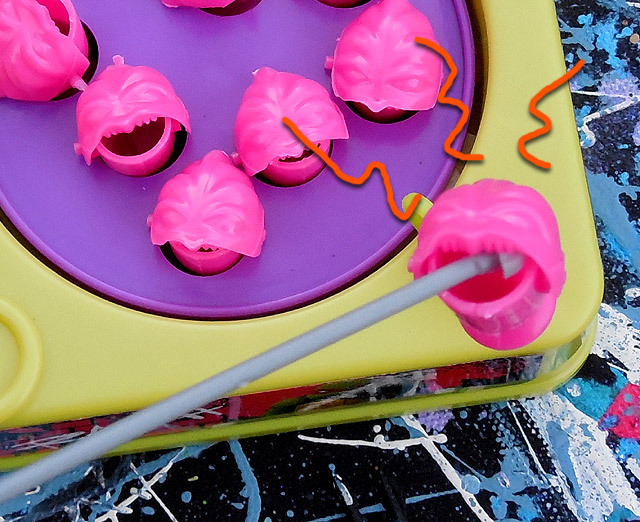 The Kraang figures are the obvious draw, looking like gnarly pink piranhas, and begging to be carried around like the patron saints of pockets. 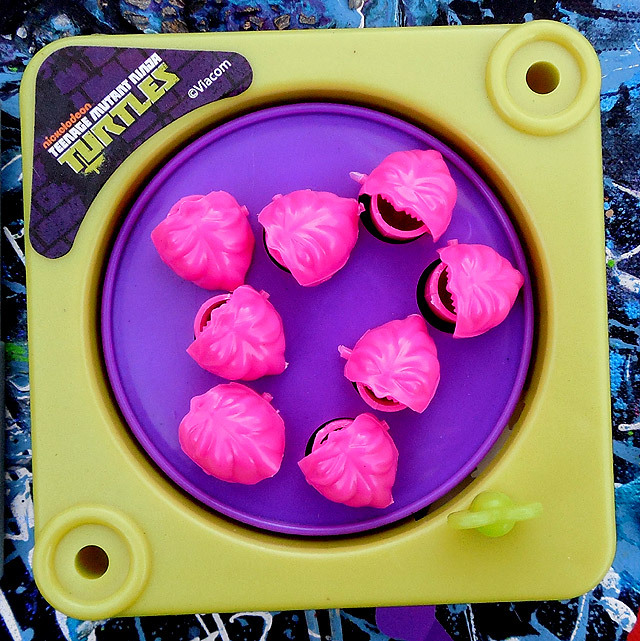 Certain emotions will stir once you see the Kraang do their fish dance. My God, if you thought you liked them before! The way they bounce and bite is so damn cute, and I don’t mean that ironically. The only downside is the noise. 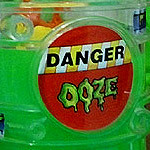 It sounds like ten aggravated robots trying to shout over a pencil sharpener. I want that noise to manifest as something physical, so I can break it into fifty thousand pieces. 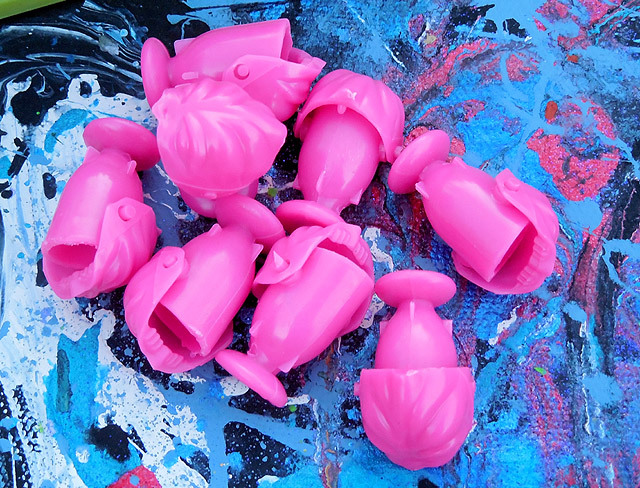 The vibe of these Kraang is somewhere between a Mogwai and Baby Audrey II. That’s a good place to be! It’s important to note that they’re only Kraang in the strictest sense. Their bodies more closely resemble a pack of wild Wobuffet. That makes it easy to ignore Ninja Turtle canon and just pretend that they’re challenging pets from outer space. Think about that. A new species, ready for you to mold! I’ve decided that they live on lettuce and respond well to back scratching. I’m buying a motherfucking Habitrail tomorrow morning. Since the rods don’t hold the Kraang very well, the game can be frustrating to play. Still, I’m not sure that matters, since the real point of buying this is to steal all of the figures and immediately misplace everything else. Recommended! 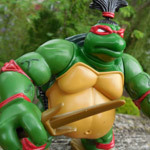 This is easily one of the most inspired toys from the Version 250655 TMNT collection. If the sight of eight pink monsters biting for no reason doesn’t warm your heart, you and I could never survive a vacation together. Teenage Mutant Ninja Turtles Chia Pet!